Tributes Pour in With News of Zaha Hadid's Passing Archi-new - Free Dwg file Blocks Cad autocad architecture. Archi-new 3D Dwg - Free Dwg file Blocks Cad autocad architecture. Zaha Hadid's sudden passing has led to an outpouring of heartfelt tributes from some of the profession's most prominent figures. 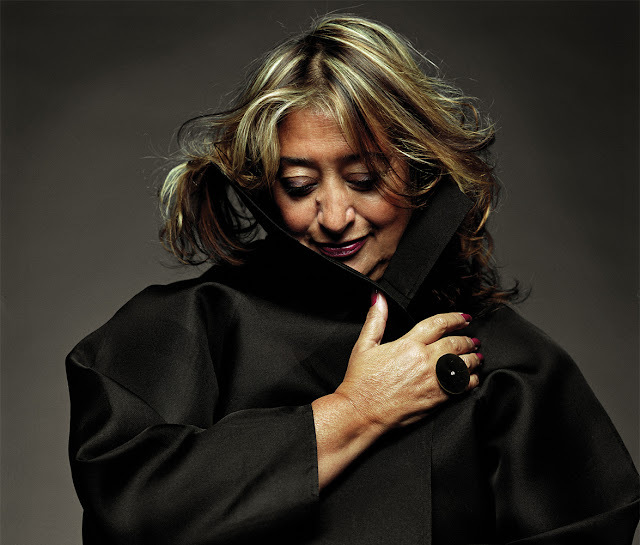 A "brave and radical" trailblazer, and the first woman to win the Pritzker Prize, Hadid's significant impact on the world of architecture is undeniable. She will be missed. "We are all shocked and devastated that we lost Zaha today, a most beautiful individual, talent, leader and friend," Patrik Schumacher, Director of Zaha Hadid Architects, wrote on Facebook. We will continue to update this link as more tributes come in. Amanda Levete told ArchDaily: "I feel immensely privileged to have known Zaha as a very dear and loyal friend, as a confidante, and one of the most extraordinary talents of our time.... When my son was very young, Zaha showed him how to write his name in Arabic. It was the moment I realised the genesis of her remarkable architectural language. She was an extraordinary role model for women. She was fearless and a trailblazer – her work was brave and radical. Despite sometimes feeling misunderstood, she was widely celebrated and rightly so. I will miss her deeply as will the world of architecture." Boris Johnson, Mayor of London tweeted: "So sad to hear of death of Zaha Hadid, she was an inspiration and her legacy lives on in wonderful buildings in Stratford & around the world." Daniel Libeskind tweeted: "Devastated by the loss of a great architect & colleague today. Her spirit will live on in her work and studio. Our hearts go out." John McAslan told AJ: "This is devastating and tragic news. Zaha Hadid was a phenomenal force in the world of architecture. An incredible character - brilliant, fearless, and irreplaceable." Michael Kimmelman: "Sad news. She was astonishing, a groundbreaker, including as a powerful woman who showed that great architecture is not just a man's game." MVRDV: "It is with deep sadness that we heard the news about the death of Zaha Hadid, an architect who had such a profound effect in our field. She was the swoosh of architecture, a role model for generations of female architects, a unique designer whose unprecedented influences stretched right across the globe. Her style was her own, finding the blend of organic and cutting edge, and has inspired a whole new typology of design, from buildings to furniture... We’d like to thank her for her contributions, for the inspiration and for doing all that she did for the architecture world." Odile Decq told AJ: "The first Grande Dame de l’architecture and a great figure in many ways. She has open so many doors for women in architecture. She has become free and without any fear after having been forced to fight against sexist attitudes. Her architecture reveals her own freedom." Paola Antonelli, MoMA's Senior Curator of Architecture & Design tweeted: "I am so so so shocked, I have no words." Paul Goldberger tweeted: "Shocked and deeply saddened to hear the news of Zaha Hadid's death: one of the great architectural figures of our time." Pritzker Architecture Prize: "The Pritzker Family and the Pritzker Architecture Prize organization are deeply saddened by the passing of Dame Zaha Hadid. She was truly a pioneer in the field of architecture. The 2004 Pritzker Architecture Prize laureate, she represents the highest aspirations of the Pritzker Architecture Prize. She also served on the jury for one year. Zaha Hadid will be remembered for her talent, creativity, commitment, loyalty and friendship." Richard Rogers told The Guardian: “She was a great architect, a wonderful woman and wonderful person... Among architects emerging in the last few decades, no one had any more impact than she did. She fought her way through as a woman. She was the first woman to win the Pritzker prize."